Brief Synopsis – Based on the true story of a US congressman who helped the Afghans defeat the Russians in the 80’s. My Take on it – This is a true to life story that has had such an impact on the world that I expected it to be more interesting and engaging. Instead, it feels like a typical Hollywoodicized story that comes across as lackluster instead of momentous. The script was written by Aaron Sorkin and for all of us West Wing lovers, the story and dialogue just isn’t reminiscent enough of his political scripts of the past. Granted, his handwriting is there, but just the caliber comes off weakly. 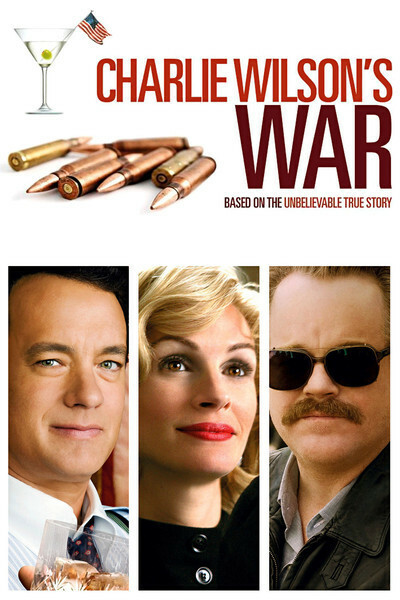 Tom Hanks once again gives us a superb performance, but I was disappointed by the mediocre performances of Julia Roberts and Philip Seymour Hoffman. What makes this quite interesting tho is the things that are not mentioned outright but are alluded to regarding events leading up to 9/11 and the current (long) war in the Middle East. Bottom Line – Not your typical Sorkin kind of script but still resonates of his involvement. Interesting story that has had a huge ripple effect on global events over the last 35 years. Hanks is superb as always but I was slightly disappointed with Hoffman and Roberts’ performances. Despite being based on a true story , I felt it was weak in its delivery and didn’t feel better than an average film. Shame. I loved the West Wing.